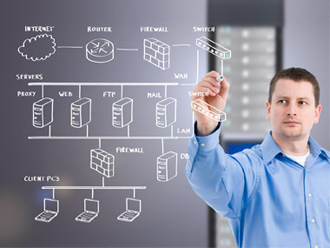 Computer systems and networks are the backbone of an organization and should efficiently and effectively support all operations. This requires a technology investment strategy that supports the goals of the organization and either provides a return on investment or creates a positive earned value. Infrastructure solutions must also be adaptable to a dynamic environment. At Systems Plus, we use enterprise-wide communications to design, build, and maintain a certifiable and compliant infrastructure to meet all requirements.